What started brewing as an idea, a love of tea, and an admiration for Cat Stevens, now makes its Fringe debut. Tea-lovers and Yusuf fans alike will be delighted by this immersive story-telling and song experience. This isn't your ordinary tribute show. 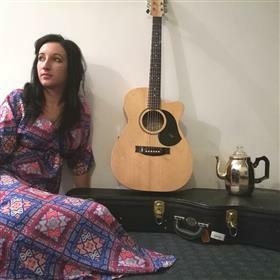 Zoe Ryan, a modern day troubadour, shares renditions of these inspiring works by the iconic songwriter, paired with just the right blend to match, whilst sharing stories from the road. Warm-witted and fun, expect to feel like you're having a cuppa with a long lost friend, then be taken to another place entirely by soaring vocals set to finger-picking, a new take on old favourites. Zoe Ryan is an emerging songwriter hailing from the South-West corner of WA who has spent the last several years based out of Melbourne, and more recently, travelling around Australia in the interest of taking her music directly to the people, in pubs, bars, houses, the streets of our cities, and now Fringe. This show combines her love of tea, storytelling, the art of song and a love for the work of one of her earliest influences.